There is no bad time to visit Iceland! Iceland is a great all year round destination bringing the best out of each season. Depending on the experience you’re looking for, if you want to see the Northern Lights then October to March is the best time to visit and for those looking to see the midnight sun and do hiking then June and July are the best months. 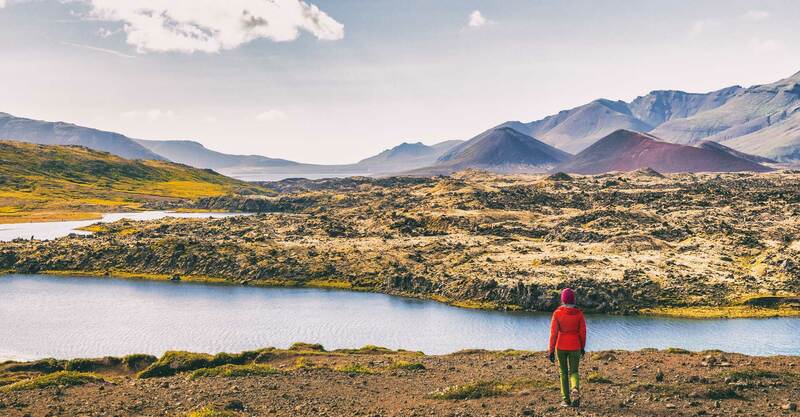 Generally speaking, summertime is the most popular time to visit Iceland because of warmer and better weather than in the other seasons, but the weather in Iceland is so unpredictable that you might get all four seasons in one day! There are always number of interesting and fun activities to do in each season! The best time to see the Northern Lights would be in the darkest months of the year which would be from October to the end of March. Some people have also specified the months between November and February but you do have to remember that it is winter time and the weather can be unpredictable. The longer your stay, the better your chances are of seeing them. You can improve your odds of seeing the Northern Lights by staying in one of the hotels in the countryside and spend every night there. These hotels are strategically located out of the city and away from the bright lights, you can increase your chances of seeing them by first making sure to make your stay a long one, at least a week. 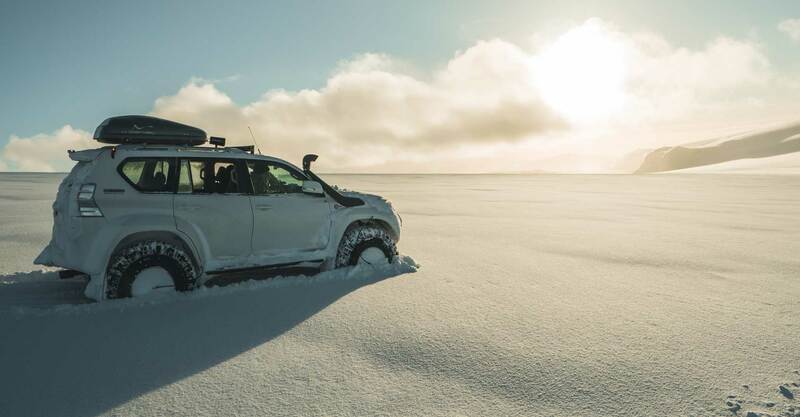 Super Jeeps are highly modified, four-wheel drive, all-terrain vehicles equipped with massive suspension systems and tires ranging from 38″ to 46″ in size that can take you anywhere you want in Iceland. Super Jeeps can take you off the beaten track and into the highlands and up on the Glaciers in Iceland. One of the best ways to explore our amazing country is on a super jeep safari, navigating the steepest and rockiest of terrains, glaciers and black beaches. Experience the wildlife and nature adventure of a lifetime. An experienced guide will take you out to sea in search for wild life, where you can expect to see whales, dolphins and bird life. 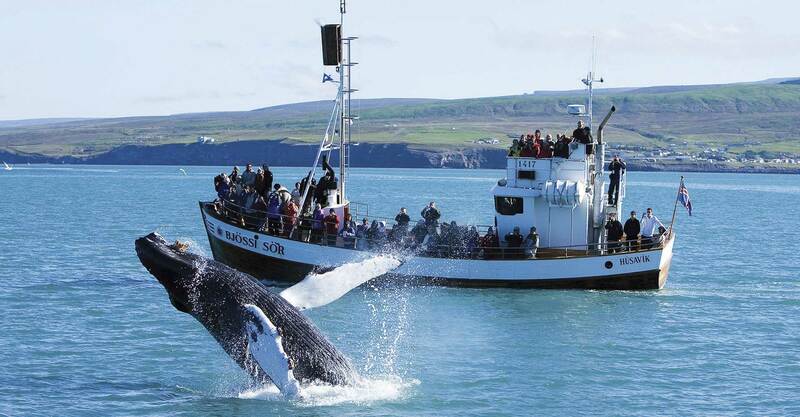 Winter whale watching is a unique experience and a whole other adventure compared to the summer. Each year continues to surprise us with the wildlife it offers. In February and March you can see the orca whales as they come close to the coast near Reykjavik and Akureyri to feed. 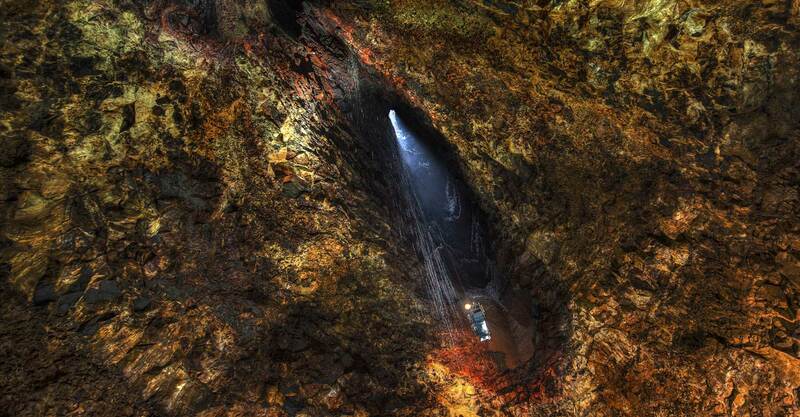 Descend 120m /400ft in a open cable lift through the top crater and down to the ground floor of a dormant volcano called Thrihnukagigur which last erupted over 4,000 years ago, located about 30km from Reykjavik. This is a truly unique experience that will take you to the bottom of the volcano magma chamber that once was filled with steaming hot lava. Iceland is a hikers paradise with so many mountains with all kinds of colors from geothermal hot spots and old lava fields with green moss on top, the contrast are mindblowing! Summer is the best time to do hiking in Iceland, but there are still some options to do hiking in the winter on some of the mountains near Reykjavik. You can do hiking from one hour up to multi day hiking depending on what you are looking for and the level of difficulty. 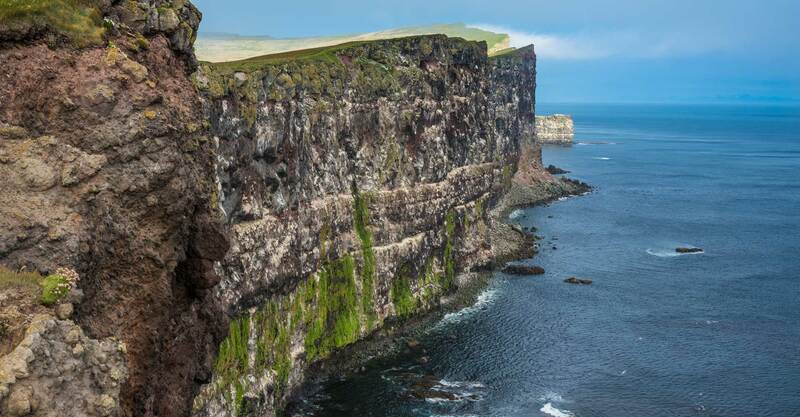 During the summer months, The stunning Westfjords are ideal for an unforgettable exploration. This is your unmissable chance to experience the most remote and untravelled corner of Iceland – a hidden paradise that cannot fail to take your breath away. A tour of the Westfjords really will open your eyes to the rich beauty and diversity that Iceland humbly offers up. From landscapes and wildlife to history and culture, you will be awed and inspired at every turn. There is always more to discover and experience in this secluded, unspoiled part of the world with our Westfjords experience. The tilt of the Earth's axis towards the sun during the summer causes the Midnight Sun. This same tilt of the Earth's axis and the Earth revolving around the sun causes seasons to happen. The peak of the Midnight Sun is in June, the days are long during the summertime in Iceland almost with 24 hours of daylight. 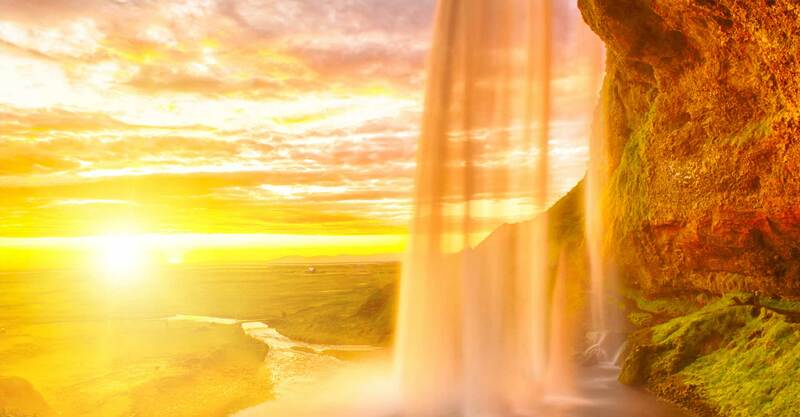 Take full advantage of these late nights and maximise your time in Iceland. This famous sight is something you should not miss with a midnight hike or sightseeing! Ice caves are natural phenomena that are formed in glaciers during winter, we offer two kinds of Ice Caves. Naturally formed ice caves in Vatnajökull Glacier some times called Crystal Caves, they are available from November to March every year depending on the weather conditions. A man-made ice tunnel in Langjökull Glacier that is available all year around and visit to that ice tunnel can be combined with a snowmobiling tour going all the way up to the opening of the tunnel. Get inspired with our example luxury tours below and let us tailor-made yours to your exact interests and needs.